Is your iPhone running slow? If so, it may need some maintenance work. There are several different factors that can cause your phone become sluggish. Lack of storage space, outdated software, low battery, and even certain apps can all be culprits of an iPhone running slow. Luckily, there are things that you can do to speed it up. Here are a few different methods that you can use if you want to know how to speed up iPhone iOS 12. One of the best ways to quickly speed up your phone is to clean it up. You can think of it like spring cleaning except instead of cleaning out your cupboards and closets, you’re cleaning out your phone. There are several different ways you can do that, and the first is just by tinkering with your apps and files. Get rid of what you don’t need or use. If you’re wondering how much of your storage space an app actually takes up, you can actually find this information right on your phone. This will help you to narrow down which apps are most important to you, and which apps can go. Or, if you have an iPhone running slow, your second option is to use an iPhone cleaner like iMyFone Umate Pro for Windows or iMyFone Umate Pro for Mac. 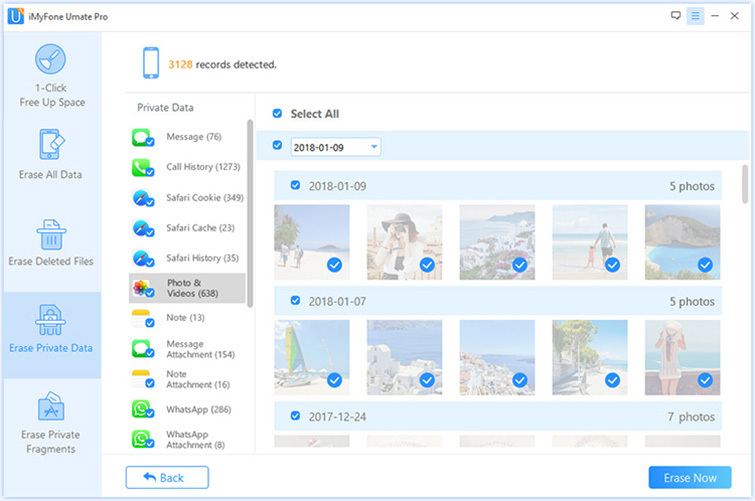 With the help of software like iMyFone Umate Pro, you can free up space, and clean up your junk and temp files with just one click. Not only that, by iMyFone can also help to compress photos, delete large files, and remove unused apps - all of which can make your iPhone slow. Here’s how to speed up iPhone iOS 12 with iMyFone Umate Pro. It can help you delete the unnecessary files and even your deleted files completely. Actually there are many junk and temporary files on you iPhone, even though you can’t see them or you haven’t noticed, but it takes up your space and also will slow your iPhone too. 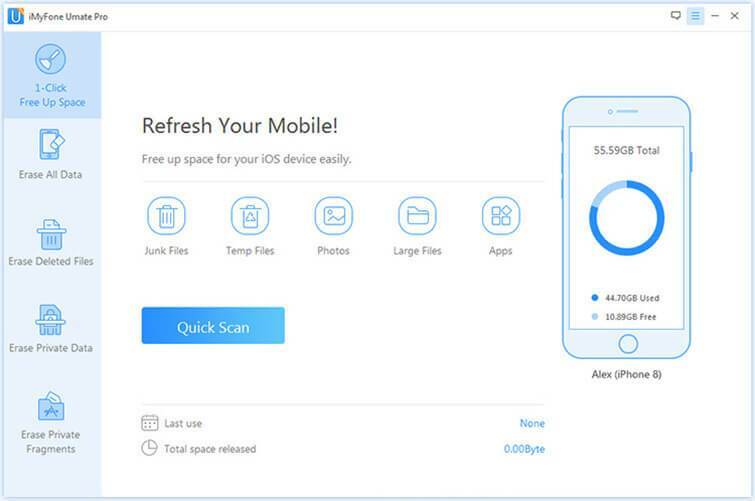 If your iPhone is running slow already, you can consider cleaning your junk and temporary files with the free function of iMyFone Umate Pro. Step 1:	Run the program and connect your iPhone to your computer using a USB or cable. Step 2: Click on “1-Click Free-Up Space” on the left hand menu and then “Quick Scan”. Step 3: After scanning, click the “Clean” button to clean up the space. Step 4: Click “Clean” again to confirm. Once finished, iMyFone Umate Pro will tell you all of the different areas on your phone that can be cleared to clean up space, as well as how much space each of them is taking up. And that is how to speed up iPhone IOS 12 with just the click of a button! Step 2: Click on “1-Click Free-Up Space” on the left hand menu and the click on “Quick Scan”. Step 3: Wait for the scan to complete. Click “Clean” to clean Photos. 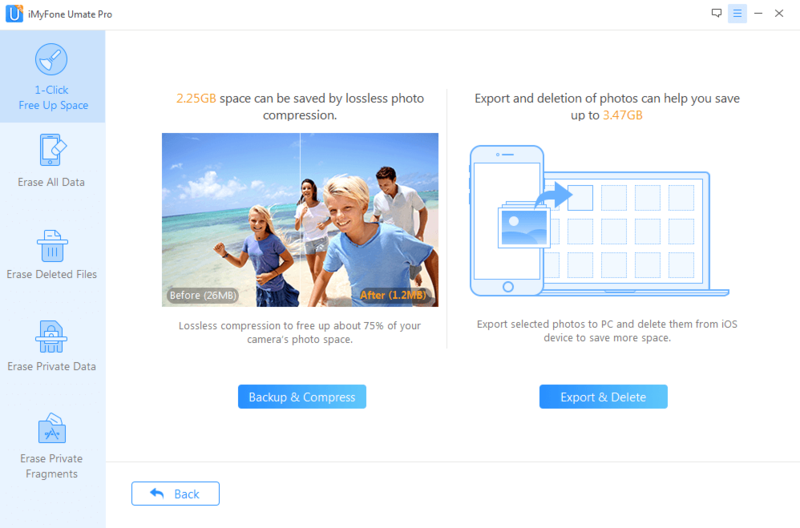 You can choose to Backup & Compress or Export & Delete. Once finished cleaning up your photos, click “Clean” next to the “Large Files” option to clean up even more space. 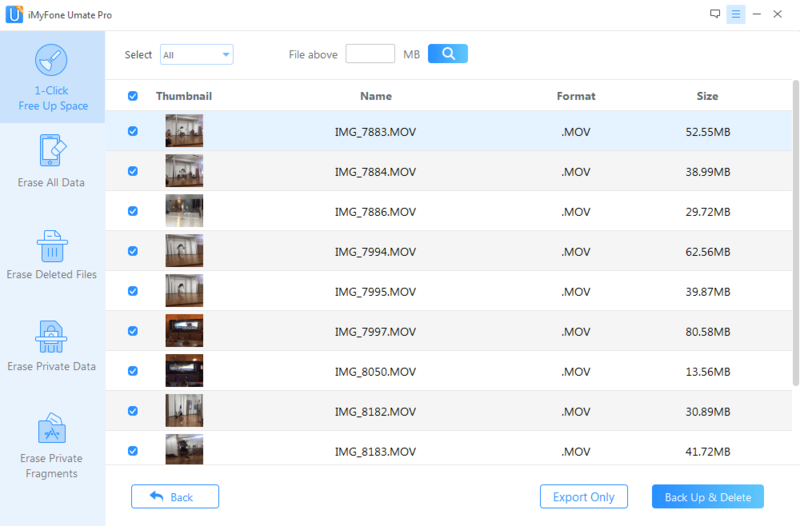 Select the large files and choose to Export Only or Back up & Delete. 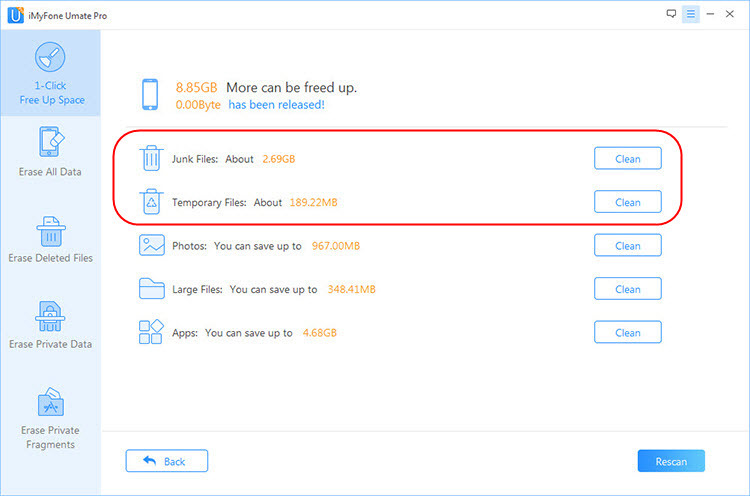 Through this method, you can free up more space on your iPhone without removing your precious memories by backing up them to your pc. Step 2: Click on “Erase Private Data”. Click “Scan” and wait for scan to complete. Note: It can even find out your deleted files and erase them permanently. You can choose Erase Deleted Files mode to do that. Step 3: Once the scan is finished, all of your personal and private data will be listed. You can click on anything you wish to preview. Step 4: After you confirm the security level, start to erase. 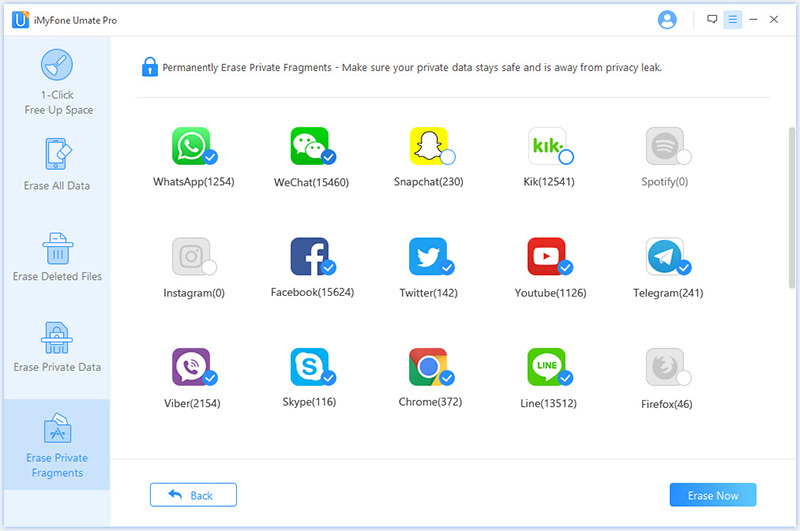 It is important and necessary to delete fragment of third-party apps, which you may not be aware of. These private fragments are produced by additional applications and take up much of your space on your iPhone. iMyFone Umate Pro can help you find them out and erase them permanently. By doing this, you can speed up your iOS 12 and also protect your privacy too. Step 1:	Run the program and connect your iPhone to your PC. Step 2: Click on Erase Private Fragments mode. Step 3: It will show you how many private fragments left of every third-party app. Select Apps and click Erese Now. Step 4: After you select the security level, click Erase Now to start. When looking for how to speed up iPhone iOS 12, look no further than iMyFone Umate Pro. iMyFone Umate Pro can dig deep down into the heart of your iPhone and clean up storage space that you didn’t even know you had! Download today and use iMyFone to clean up extra space, manage media files, and erase private data to prevent your iPhone running slow.